.....from card making to sewing and bits of life. I am a stay at home wife and mother to our 21 year old disabled son, Clark. I started this to share information on cardmaking, paper crafts, sewing and bits of everyday life. Have you changed your life lately? There Is A Stamp For That! Enjoy more cards... I hope you like! Celebrate National Craft Month with Margot Potter & Donna Dewberry, and "MOORE"! Hi All! It has been so long since I have posted anything on here, that I almost forgot about it. Since my Masters Program is keeping me very busy, I have not had the time to do very little crafting. Especially card making! I have been using up the cards I had made last year and the year before.....and, on occasion, buying cards....gasp! Oh well. I am loving this program that I am in......when I graduate next December, I will have a Masters in Education with an emphasis in Historical Interpretation. What that means is that I will be able to educate the public about historic sites and people, natural areas, etc. My love is flowers and gardening so, I am hoping to be able to work somewhere historical that has a garden. We shall see. 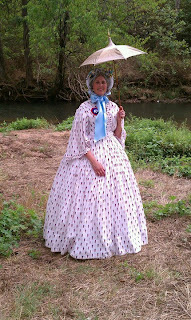 In my spare time, I am learing to sew period dresses and bonnets. This photo was taken this summer at Wilson's Creek Battelfield just outside of Springfield, Missouri. 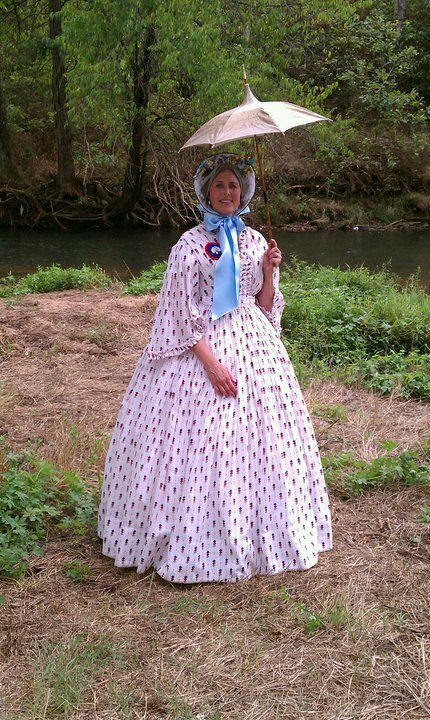 Yes, that is me in a sheer dress with a silk parasol from the early 1850's. Thanks for taking the time to look. I think often of the friends I have left behind with crafting but, don't worry, I will be back! Well, I have not forgotten you friends, really! I working on my Masters in Education and I have no time to do much else than research, write papers and study. I will hopefully be able to have some time this summer for crafting again. In the meantime, take good care of you! Good Morning Friends! Well here we are the day before Christmas.....can't believe how fast the year has flown by, can you? Wayne and I are spending this morning with my family and our son. We are looking forward to having Christmas at our home. Lunch will be our meal together and I am serving Honey Baked Ham with various sides. Mom is bringing over an assortment of cookies, fruitcake (she and I are the only ones who like it) and peanut brittle. I am really looking forward to seeing my sister's reaction to her gift. My Mom and I have gone together to make a quilt for her that my Mom started in 1978. I will take a photo after she opens it and share here later. I really hope she likes it as it is not going to match the colors she has in her home. After Christmas with my family, we will pack up one of the cars and make the 7 hour trip up to Wisconsin to be with Wayne's family for a week. I love my family but, I really love being with Wayne's. All those neices and nephews! Gives us a chance to really relax and get a good visit in with everyone. A note on the board books I posted earlier, I dug through my supplies and found that I had quite a lot of embelishments, ribbon, adhesives to fill up the box. I only had to purchase some letters and a few specific Jolie's embelishments....and I had enough coupons that I could get nearly everything on sale. I will post a photo after the nieces and nephews open their gifts so you can see what I did. Now to this card.....my Mom comissioned me to make a few of these special cards for her. She purchased the set and also paid me for making them. She was very pleased with how they turned out. Afterwards, she gave me the set. I was unable to make any cards for myself this year.....and that is because I did not start in January like I did last year! So, guess what I will be doing in 2011. Hope all of you have a Merry Christmas and a joyous, prosperous New Year! 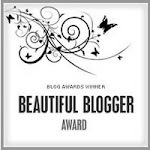 Okay.....can you believe it, I am actually posting on my Blog???? I can't go into any details right now about what I have been doing but, I will later. For now I need your help. I am trying to figure out how to finish these board books as quickly as possible. Hubby and I have 9 total nieces and nephews. Now, not all of them are recieving these books at this time. Only 4 are. The other 5 we are either Godparents or are just being nice to one family because of their financial circumstances. The 4 we are going to give these books to are 11-15. One child is musically inclined, one is highly artistic, one is incredibly talented in sports and one is into the theater (the only boy of this group). So, my question is this....can I get away with just decorating the front, a few ribbons on the ring, some journaling tags and either some photo corners and/or double sided tape? I had thought to just put "My Favorite Photos" or "Photos I Love" on the front. We do not usually give to these children because they are not our Godchildren.....that is the rules of the family I married into. But, this year we feel a bit more generous and I was crafty earlier in the year. I appreciate your comments as always! Hello Friends! It has been so long since I have posted here, I feel guilty for not keep this up better. But then, it is my blog, a place for expression and not a place where I sell things. So, I can let go of the guilt right? More changes have been taking place in my life over the past few months. And without boring the crap out of all of you with the mundane details, I will just give you some bits. I hve made the decision to stop taking horticulture classes and have decided to work on my Masters in History instead. After talking to a great many people, it just makes more sense to get an advanced degree instead of another A.S. degree. If you have read my blog in the past you know that I love history. Not sure if I will teach it or not as I still have to go and actually sit down with the advisor to discuss how I can make that work into the program they have already. It is a very promising future for me. Clark has finally gotten his assessment for Vocational Rehabilitation Dept. help to obtain a job. The process is just starting so, I have no details. He is excited at possibilities. His health and attitude remain relatively good despite not having much to do. Our gardens have suffered terribly this year with all the heat. Many areas have been sorely neglected. We are just now getting back out to lay down compost and take out plants that are not doing good or are in the wrong area. We will move some plants now as living where we do, they will have some grow time before it becomes winter. And my other area that has pushed stamping and crafting out a little is my living history hobby. For those of you who have viewed Civil War Reenactors before at battlefields and events at historic homes or sites. You might know what I mean.....the men in their uniforms and the women in their hoop skirts. Well, that gives you some idea. But, I am not the sort of person to just sit on a battlefield in a hoopskirt and watch the men fight. I am more interested in dressing period correct (which means hoops, corset, etc.) and participating in events that pertain to life at these sites. I am just getting back into this after many years away. I am slowly making friends with folks with similar interests...and attending conferences and workshops in the upcoming months. I may be starting a new blog to incorporate my love of history, we'll see....I may just be too busy to do much but attend classes. The card I have chosen was sent to my In-Laws to thank them for meeting my husband and I in Chicago for my birthday weekend in August. I love Chicago but, feel now that I have nearly exhausted all the places in that city to visit. The Field Museum had an exhibit on the baby Mammoth that was found in Siberia.....so totally facisinating! Thanks again for looking and reading about my life....such as it is! Good Morning Friends! Wayne and I wanted to have a Graduation Party for Clark and the only time we did not have something going on was August. Sad but at least we are giving him a party. Disabled children generally do not have many if any friends that come over to their houses to 'play'. So we are inviting his teachers, nurses, therapists, the bus driver and her assistant, family and his girlfriend. This DP at my LSS caught my eye and thought it would be great with his school's colors. Some of the mortar boards have glitter on them! Very simple and self-explanatory. Thanks for taking a look! Have a great day!! Good Morning Friends! I have been trying to do some work with my Prismacolor Pencils at night while I relax in front of the TV with my husband. I do like to be with him at night even if he is watching something I don't really care for. The little girl card is for our niece Jennifer who lives in Wisconsin. It will be her 7th birthday this week. She loves bling and those colors. I took a sheet of the DCWV DP and cut it apart to get the color combination I like. Then reassembled them. I popped up the flowers and added the acrylic sparkly dots. I still don't think I have the hair technique down yet......practice makes perfect though. The classic car is for my brother in California he is turning 51 next week. He loves classic cars. In fact, that is what he does for a living.....work with cars. I don't ge to see him much anymore. Sending him some homemade hot sauce and more jars of jams and jellies. The house mouse was a stamped image from Linda Bronson. I want to send one of our neighbors a thank you card for a wonderful evening we had at their house recently. Hope all is well with you and your summer is not full of too much bad weather!